Pharmacy And Drugstore | Your Health. Your Lifestyle. Got prescriptions to fill? Experts will tell you every trick to cut your costs. 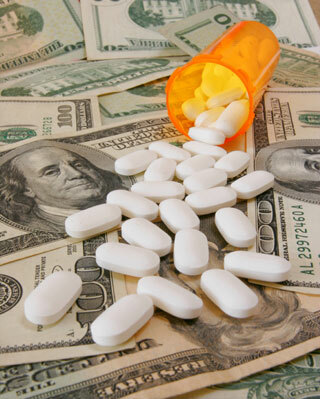 Coming up with the cash to cover prescription drugs and medical bills is the No. 1 money worry of Americans, beating out thinks like missed payments on big bills and even job loss, according to the Consumer Reports Index, a monthly national telephone poll of American adults. Go generic. They’re often good first choices, though the names of these less-expensive drugs are often unpronounceable (they’re a shortened version of the active ingredient’s chemical name). you can save as much as 95 percent off the brand-name price tag. Generics are required to have the same active ingredients and action as the brand names, and the Food and Drug Administration regulates them Justas it does brand-name drugs. Order online. Last year experts shopped for four expensive brand-name drugs and found the best prices online, at Healthwarehouse.com, Familymeds.com, Costco.com, and Drugstore.com. Walmart (the store) was next, followed by independent drugstores. 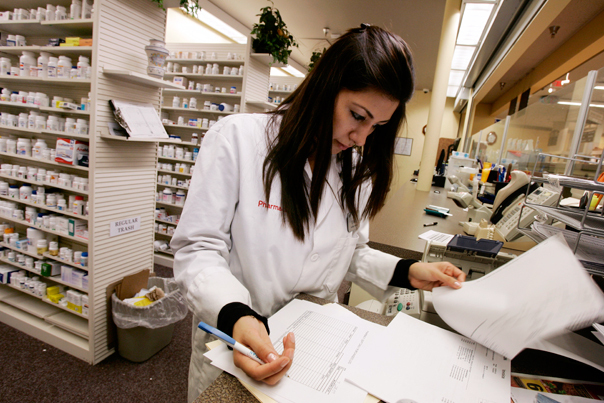 But watch out: Most online pharmacies aren’t legit. So stick with the sits experts recommend or retailer websites that have walk-in stores. And order only from within the U.S.; you can’t be sure of what you’re getting from other countries. Consider Mail Order. These services can save you money, too. Check with your human-resources department about availability. Sign up for money-saving store programs. Most big drugstore chains and mass retailers offer discount programs that sell hundreds of generic meds for $4 a month or less. Ask Mom-And-Pop Stores for a price cut. Like the big chains, independent drugstores may have their own discount programs or match a chain’s prices. Cutting meds in half can be like buying two doses for the price of one. Here’s how to do it right. Do get the OK from your doctor or pharmacist first. Not all drugs are safe for splitting. Don’t split time-released or long-lasting pills, combo drugs, pills that require critical daily blood levels (such as birth-control pills and blood thinners, capsules, or coated pills. Do use a pill splitter. You can find one for $3 to $10. Some insurance plans even given them away. 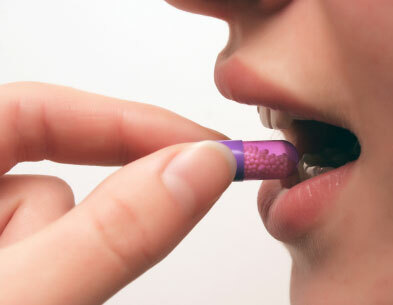 Don’t split pills in advance because it increases exposure to heat, moisture, and air. Cut one at a time and take the two halves one after the other so that any deviation in the size of one is compensated for with the next dose. Why switch? OTC antihistamines that contain diphenhydramine can cause sedation and sleepiness as a side effect, temporarily helping to relieve mild insomnia. Although relatively inexpensive and easy to buy, they can also cause unwanted side effects, including next-day drowsiness, confusion, constipation, dry mouth, and trouble urinating. But keep in mind that prescription medications can come with their own disturbing side effects. When to see a doctor If your insomnia lasts three or more nights a week for at least a month, schedule an appointment with your physician. Prevent it in the first place Cognitive behavioral therapy, a form of psychotherapy where you single out and replace thoughts and behaviors that are or causing you problems, can improve sleep habits. Also, try exercising and avoid alcohol, caffeine, and smoking. And keep in mind that certain prescription drugs can cause insomnia. So can using a computer or smart phone or watching TV right before bedtime. Other things that can make you toss and turn at night include inconsistent sleep and wake-up times (on weekends, for example) and late-day napping. Finally, if you can’t sleep, get out of bed and do something relaxing, like reading, until trying to catch your zzz’s again. Why switch? These anti-inflammatory drugs block the production of substances in the body called prostaglandins, which play a role in aches and pain, inflammation, fever, and muscle cramps. At low doses, NASIDs (nonsteroidal anti-inflammatory drugs) essentially work as pain relievers. At higher doses they can actually reduce the body’s inflammatory response to tissue damage as well as relieve pain. Studies show the nonprescription NASIDs are as effective as Celebrex. When to see a doctor If you take these drugs for longer than 10 days or the recommended doses on the label aren’t effective, make an appointment. Prolonged use of these drugs can cause side effects including gastrointestinal bleeding, stomach ulcers, kidney failure, heart attack, and stroke. So consider taking Tylenol first. Prevent it in the first place Regular stretching, exercise, and muscle strengthening can help prevent joint pain. Why switch? Unlike opioid painkillers, which block signals to the brain, these NASIDs reduce pain by inhibiting the release of a certain enzyme that produces hormones that cause inflammation. For milk to moderate chronic pain, studies show that NASIDs work about as well as opioid drugs and are less risky. Opioids are only moderately effective and little is known about their long-term effects. Also, they don’t always completely eliminate pain; can cause side effects like nausea, constipation, sedation, and dizziness; and can cause your body to build up a tolerance so that you need increasingly higher doses, raising the risk of side effects. And they can actually increase your body’s sensitivity to pain and lead to addiction. To treat lower back pain, try nondrug treatments like exercise, physical therapy, and cognitive behavioral therapy. Acupuncture, massage, or yoga may help, too. When to see a doctor If pain lasts longer than a week or two, radiates down your leg, or is accompanied by leg weakness, call your physician. Also be aware that NASIDs have been linked with gastrointestinal bleeding, stomach ulcers, kidney failure, heart attacks, and strokes. So you may want to consider Tylenol, a non-NASID, first. NASIDs can also aggravate high blood pressure. Prevent it in the first place Clinical studies have found that exercise can help prevent non-acute back pain. try water and walking workouts as well as aerobic exercise, weight training,a nd muscle endurance and stretching exercises. Why switch? These OTCs have been shown in studies to help some people who suffer from migraines. When to see a doctor Even if the OTC drugs ease your pain, you should still see a physician for a diagnosis if your migraines are moderate to severe in intensity, or they disrupt your life, or if the meds listed above don’t provide relief. Also be aware that overusing these OTC painkillers can sometimes cause rebound headaches, where the pain can persist and become more frequent over time. Prevent it in the first place Figure out what prompts your migraines. Culprits can include alcohol, caffeine, certain kinds of cheese, dehydration, plane rides, skipping meals, or stress. Why switch? If you get occasional heartburn, nonprescription antacids will probably give you relief. But if your doctor has diagnosed GERD, she might prescribe a proton pump inhibitor, or PPI, such as Nexium, Prevacid, Protonix, or Zegerid, which studies have found to be similarly effective. Research has also shown that Prilosec and OTC versions of Prevacid will work just as well as the pricier prescription PPIs. PPIs work by blocking an enzyme necessary to make acid in the stomach. But don’t take them without a GERD diagnosis from your doctor; they’re not meant for short-term relief. When to see a doctor If you have heartburn twice a week or more for a few weeks or if drugs like Mylanta, Pepcid, or Zantac don’t provide the relief you need, make that doctor appointment. Also talk with your doc if you’re taking antibiotics or an anticoagulant like Plavix after having a heart attack; a blood-thinner such as Coumadin (warfarin); or benzodiazepines such as Valium (diazepam) for anxiety, because they can interact with PPIs. In the case of Plavix, taking a PPI could actually reduce the effectiveness of the drug and put you at risk of having another heart attack. and PPIs can increase the effects of Valium （and generic diazepam) and Coumadin (and generic warfarin). Prevent it in the first place Try eating smaller meals and avoid lying down for at least 3 hours after eating. Losing weight and avoiding alcohol can also help. Which is better? Cheaper over-the-counter remedies are often your best bet. It can be tempting to run to a doctor for a prescription when you’re miserable with symptoms like nonstop sneezing or nagging knee pain, or when you’ve had a few sleepless nights. But the best relief might already be in your medicine cabinet. For common ailments like allergies, pain, and insomnia, over-the-counter drugs may be the way to go. Sure, there are prescription meds you can take. But OTC drugs can save you money, and some work just as well or better and may cause fewer or less severe side effects. In many cases, trying an OCT drug first can also save you time and money by cutting down on doctor visits. To help you find the best treatments for your symptoms, we ShopSmart teamed up with the experts at Consumer Reports Best Buy Drugs, who look for cost-saving options that are also the most effective. They recently reviewed hundreds of studies and came up with the following advice. They also calculated the potential savings of going OTC, though your actual savings may depend on your insurance coverage. Why switch? Antihistamines block the chemical messenger histamine, one of the body’s natural defense mechanisms and the main trigger of allergy symptoms in the nose, airways, and skin. Studies show that “newer” antihistamines – both prescription and OTC, such as those listed above – are similarly effective. They all generally bring some relief in 1 to 3 hours and continue to work for 12 to 24 hours for most people. But keep in mind that even if you have just milk allergies, you might need to try a few before finding one that works best for you. Some people respond well to one antihistamine while not finding relief with another. When to see a doctor She will be able to tell if your symptoms are caused by an allergy. Studies have found that some people who take prescription meds don’t actually have the condition. 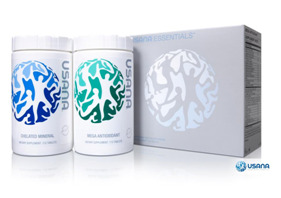 You could have a cold, a mild case of the flu, bronchitis, or sinusitis. But if any of those symptoms persist or are accompanied by high fever, shortness of breath, or wheezing, seek help. Also consult a doctor before taking these drugs if you have high blood pressure, a heart condition, diabetes, closed-angle glaucoma, or prostate disease. Prevent it in the first place Stay inside during peak allergy days. A Consumer Reports National Research Center survey showed that one in five Americans were “highly satisfied” with symptom relief achieved by avoiding allergy triggers. They said that when it worked this strategy was even more effective than treating their allergies with OTC drugs. Taking combo drugs that treat multiple symptoms – such as headaches, achiness, and fever – can lead to dangerous overdoses. 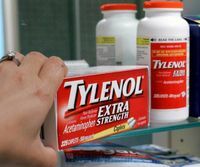 In 2011 the manufacturer of Extra Strength Tylenol lowered the maximum daily dosage from eight pills to six pills to help people avoid taking too much acetaminophen, which can lead to liver damage. The reason: Acetaminophen is an active ingredient in hundreds of OTC products, many of which are combo formulas for colds, flu, allergies, and sinus problems but laxatives, pain relievers, sleep aids, and indigestion treatments can also contain more than one active ingredient. So before taking a second drug to treat an unrelated symptom, such as a headache when you just have a cough and sore throat, always check the active ingredients to make sure you’re not overdoing it. You may have heard that acetaminophen (Tylenol and generic) isn’t the best choice if you’ve been drinking alcohol or if you drink heavily, because it can damage your liver. Here’s a new warning: No one should take more than 4,000 mg, or eight extra-strength pills, in a day. Staggered doses can be even worse for your liver and other organs than one megadose, says a recent study. Check ingredients in cough and cold meds so that you don’t accidentally take too much. And skip acetaminophen if you have liver disease. Showering with your contact lenses in can cause eye infections because of microorganisms in the water. So take them out; if you can’t, keep your eyes shut under water. Can P90X help you get a hot bod? 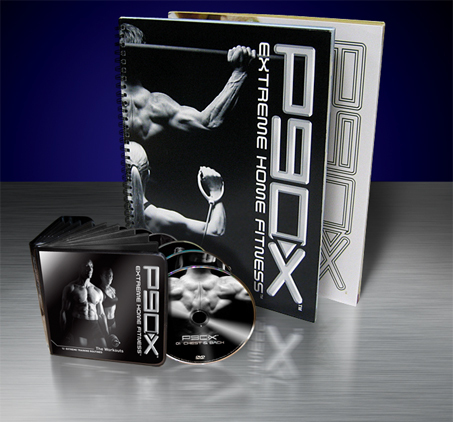 The P90X website says its popular fitness DVDs will help you “get absolutely ripped”. But do the workouts “bring it”, as creator Tony Horton promises? They can, according to a small study of young fit adults by the American Council on Exercise. For $140 you get 12 DVDs with workouts such as Ab Ripper X and Yoga X. The key is variety, says the study author: you work your whole body and wont’ get bored. Not ready to splurge on the P90X? Create your own program by varying exercises and intensity. Like something out of an apocalyptic movie where people search to rebuild a food supply, the U.S may be searching to find essential chemotherapy drugs. For the first time in the U.S, essential chemotherapy drugs are in short supply. Most are generic drugs that have been used for years in childhood leukemia and curable cancers. The shortages have caused serious concerns about safety, cost, and availability of lifesaving treatments. According to a survey from the Institute for Safe Medication Practices, 25 percent of clinicians indicated that an error had occurred at their site because of drug shortage. Many of these were attributed to inexperience with alternative products. These shortages have increased the already escalating costs of cancer care. Brand-name substitutes for generic drugs can add substantial cost. For instance, Abraxane, a protein-bound version of Paclitaxel, costs 19 times as much as equally effective generic Paclitaxel. Due to the increased time and work required to manage drug shortages, health care labor costs in the U.S have increased by about $216 million since 2010. Furthermore, an unofficial alternative market of drugs obtained by vendors outside the usual distribution networks has grown rapidly; these vendors are unregulated and have markups of up to 3000 percent for cancer drugs. The main cause of drug shortages is economic. If manufacturers do not make enough profit, they will not make generic drugs. For example, Leucovorin has been available from several manufacturers since 1952. In 2008, Levoleucovorin, the active l-isomer of Leucovorin was approved by the FDA. It was reportedly no more effective than Leucovorin and 58 times as expensive, but its use grew rapidly. Eight months later, a widespread shortage of Leucovorin was reported. The second economic cause of shortages is that oncologists have less incentive to administer generics than brand-name drugs. Chemotherapeutics are bought and sold in the doctor’s office, a practice that originated 40 years ago. Now in order for oncologist to support their practice and maximize financial margins, they buy drugs from wholesalers, mark them up, and sell them to patients, or insurers in the office. Medical oncology is a cognitive specialty lacking associated procedures, and without drug sales oncologists’ salaries would be relatively lower. Today, more than half the revenue of an oncology office may come from chemotherapy sales, which boost oncologists’ salaries and support expanding hospital cancer centers. Before 2003, Medicare reimbursed 95 percent of the average wholesale price, an unregulated price set by manufacturers; whereas oncologists paid 66 percent to 88 percent of that price which resulted in receiving $1.6 billion annually in overpayments. In response, the Medicare Modernization Act mandated that the Centers for Medicare and Medicaid Services set reimbursement at the average sale price plus a 6 percent mark up to cover practice costs. This policy has reduced not only drug payments but also demand for generics. In some cases, the reimbursement is less than the cost of administration. For example, the price of a vial of Carboplatin has fallen from $125 to $3.50 making the 6 percent payment trivial. So some oncologists switched to higher-margin brand-name drugs. The only good news is that the drug shortages may catalyze a shift from a mostly market-based system to one that rewards the provision of high-quality cancer care at an affordable cost.